Recruitment as an activity has undergone immense improvements since the introduction of Application Tracking Systems (ATS). An ATS is used extensively today by HR persons to manage job applications. It is a software that handles electronic recruitment needs. With an ATS, you can organize, collect and store candidate and job-related data and track and monitor candidates through all stages of the hiring process. ATS works by allowing employers to enter keywords or phrases from the job description into the system ATS. The ATS will then search the database and return resumes with the keywords to the employer for review. The search of the candidate can be repeated as many times as desired by the employer to narrow down the best candidates to further pursue. Let’s look into the other benefits of an ATS for a company and how to choose one that fits your requirements just right! The HR Manager’s Guide To ATS Software! In order to track candidates, you need to know where to source them. With an ATS, you can easily post open jobs on your client’s website and top job boards. When applicants begin submitting their info, you can compile your candidate pool just with the help your ATS. You can send a personalised email to multiple people at once with email marketing feature of ATS. Let candidates know that you are hiring, attach the job description, and encourage them to send applications to you, which you can later import as resumes. Resume screening can be an arduous process if done manually. ATS has a resume importing feature that lets you load physical resumes straight to your software. If you receive resumes from a job posting site or in your email, you can quickly import them straight into your database. If you decide to use ATS, you won’t need to study hundreds of resumes to weed out bad candidates. The software automatically does that for you. Every resume has details placed differently with a different format. Once resumes are imported from the software, the resume parsing feature extracts key information from the resume so that each one is formatted the same way. Also Read: How HR Can Play A Significant Role In CSR For This Year! Once this is done, candidates who are the best match with the job description are separately categorized, which is ultimately what you need. Once you receive candidate resumes, you can start tracking the applicants in your pipeline. You can see who advances in the hiring process and who is no longer considered a potential hire. The information of such candidates is still available, in case you have an opening in the future matching their expertise. Benefits Of ATS To An Organisation! Let’s look at some of the ways in which having an ATS benefits an organisation. Recruitment can be a time-consuming and frustrating process. An ATS can handle all your recruitment needs from source to hire in one single platform. Recruitment strategy decisions require real-time data. In addition to producing reports on your internal processes, an ATS can deliver labour market and source tracking data, which helps in determining how easy or difficult will it be to source candidates. It is essential to have a talent pool at your disposal for future positions. A talent pipeline will help you close positions without any hassles. With the help of ATS, candidates are easily subscribed to receive email alerts of new opportunities at your company. 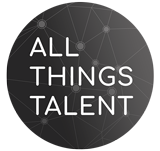 An ATS allows you to access past applicants, talent network members and resume database members with one search. It also ensures that you are only getting the most relevant candidates. This increases efficiency by cutting down extra time lost in figuring premium talent. The concept of ATS really involves a comprehensive ‘integration platform’ that not only tracks potential incoming candidates but also connects your company to sourcing tools, assessment services, background checking, job boards and more. How To Choose A Right ATS For Your Organisation! Here are some points to consider while choosing an ATS for your company! Understanding the requirements of your company and business is critical to determine which systems would serve you best. Just as you create a job description for a post, define the needs of your particular organisation, to make sure you pick out the best ATS that proves resourceful. A poor candidate experience that makes them go through various unnecessary steps to create a profile and enter redundant information contribute to a bad user experience. A company is likely to end up with several lost candidates in case of a frustrating experience with their ATS. An easy access for all the team members involved in the recruitment process is a must for a good ATS. This allows all the stakeholders to work collaboratively on the platform. The interviewers should also be able to engage in conversations with candidates and get access to all the background information needed. A good test of your ATS would be to check the level of integration it provides with a social media platform. A recruitment activity is incomplete if it does not leverage the power of social media, where the majority of the top talent you are looking for, spend their time networking, working and for various reasons. It should be easy for your entire team to share jobs on social media via ATS and check its success rate. A company may want to integrate their website with the ATS, so as to source applicants directly from their corporate website. Make sure your ATS provides the flexibility to integrate with already existing systems and various customizations possible. When migrating to a newer platform, companies often need to bring their candidate database from an older system to the new one. A good ATS should allow the user to easily import this data into the database. Information received by candidates through emails, calls can pile up in folders so make sure you are able to bulk import data into your ATS on a regular basis. Referrals are the oldest and still the best method of finding employees. The best Applicant Tracking Systems will provide you with a clear way to attract and reward referrals from your team. Applicant Tracking Systems are a boon to the recruitment process and help streamline the hiring activity hugely with its robust features. Make sure you choose the right one for your organisation! All points are really nice.It help streamline the hiring activity hugely with its robust features. It allow user to import the data easily.